Ever been curious about a neighbor—so curious that you’ve considered snooping? 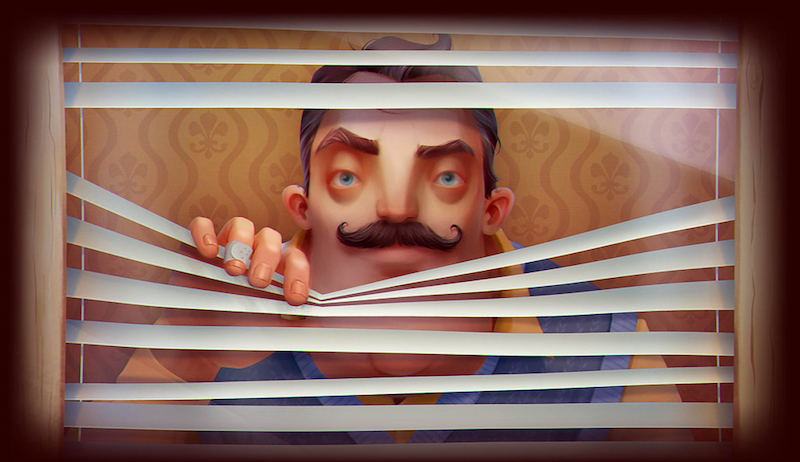 Announced today, stealth horror PC game Hello Neighbor will take that spying, meddling impulse to the extreme. Also extreme is your enemy, just a friendly neighborhood AI who learns from your every move. It’s worth noting that the art looks phenomenal. Hello Neighbor is slated for release in September, 2017. You can sign up for the alpha here.